Full 1 year license key for Amigabit PowerBooster. Save $19.95 on the free offer Amigabit PowerBooster Pro license key. Unfortunately, the version given is not lifetime version but it better than nothing. On the time limited giveaway, available unlimited number of license code for everyone. Amigabit PowerBooster available in free and pro/paid version. The pro version features with most powerful extra tool that can tweak WIndows system better. 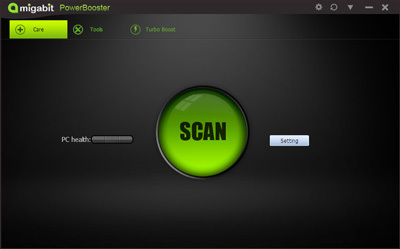 With Amigabit PowerBooster Pro, you can speed up, clean up, fix common problem, and power up entire windows system. During the Holiday giveaway, download Amigabit PowerBooster Pro license key for free. Available unlimited number of licenses on this offer but same license given to everyone. If you are interested, visit the following giveaway page and follow the instructions. You must activated the license before the giveaway duration ended. If doesn’t, the license will useless. No free support and no free upgrade for giveaway version. This coupon code can be used only for purchase this software via deal link above.